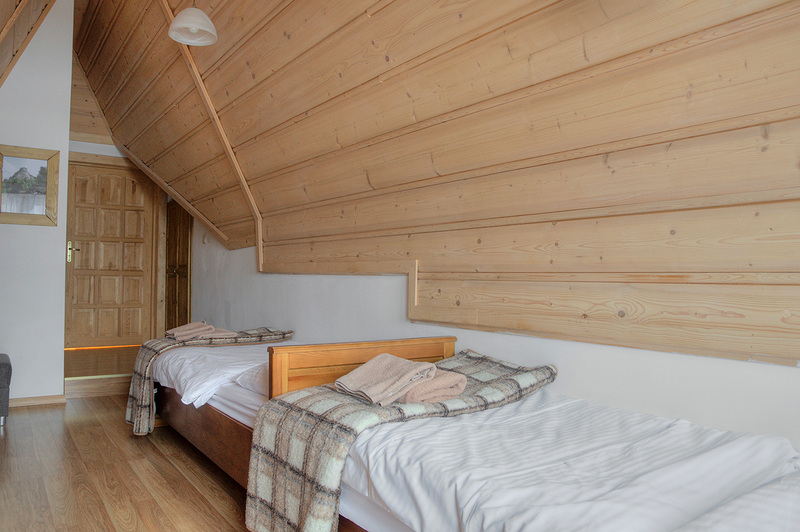 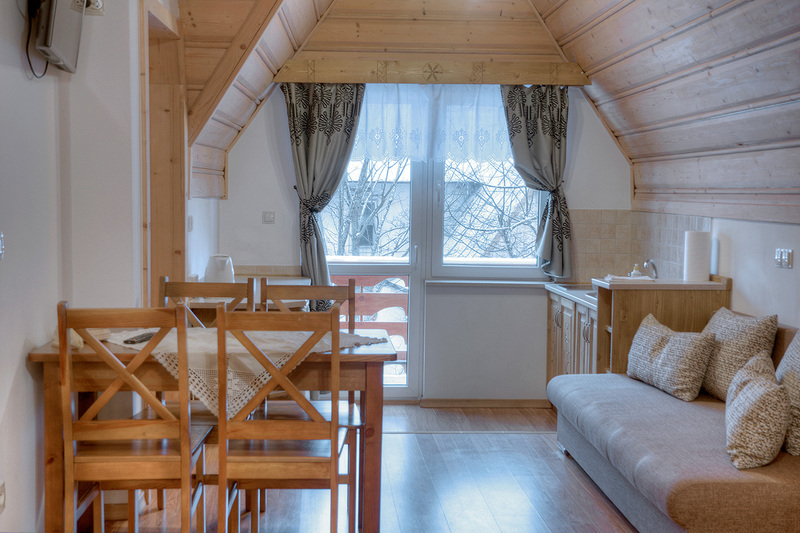 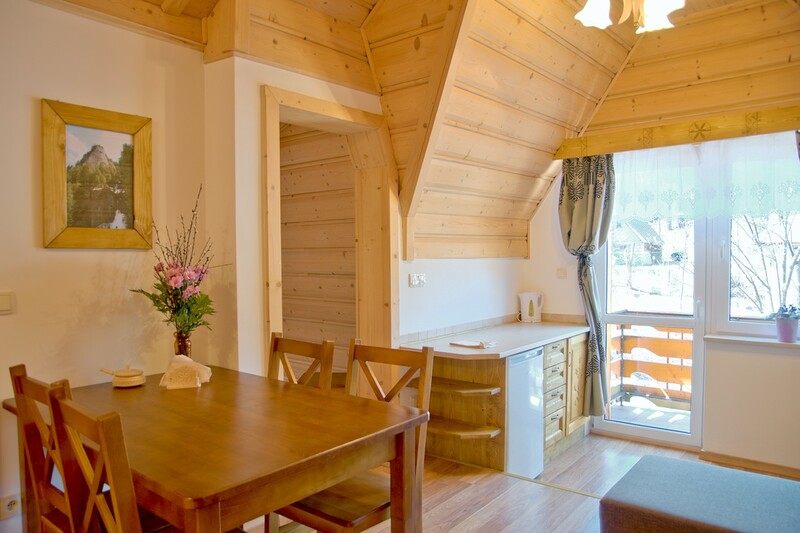 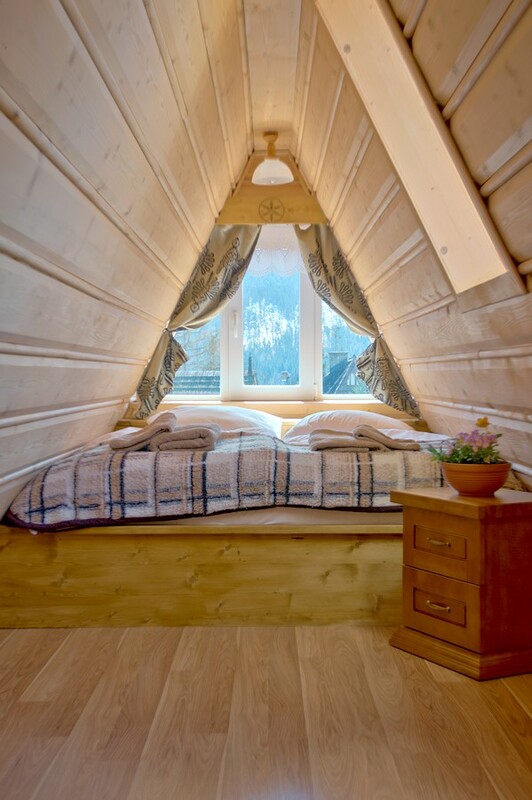 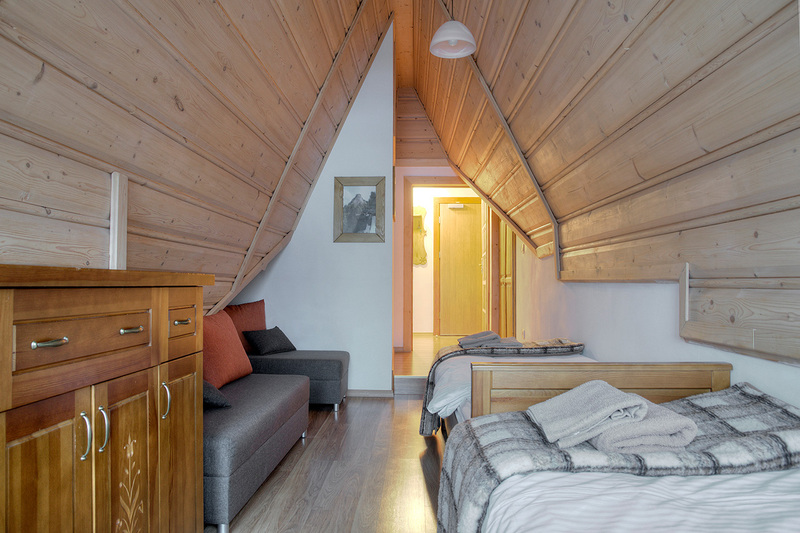 The apartment is furnished in a traditional highlander style, and it is in the attic. 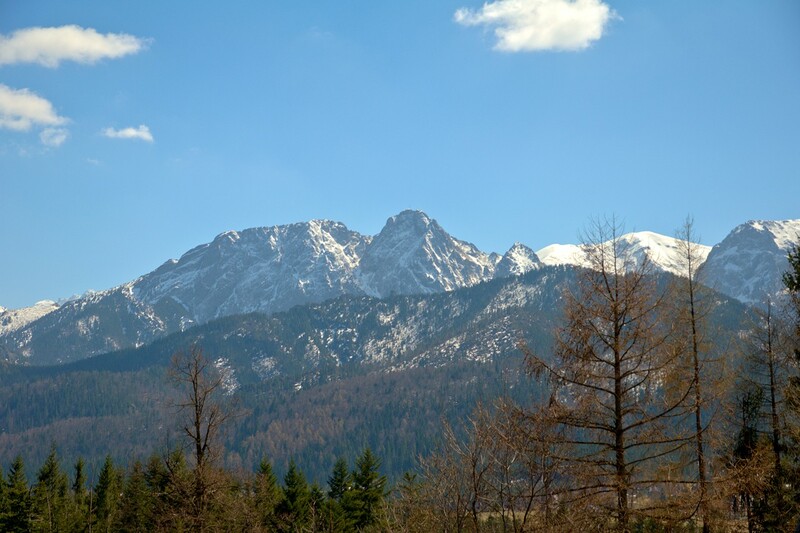 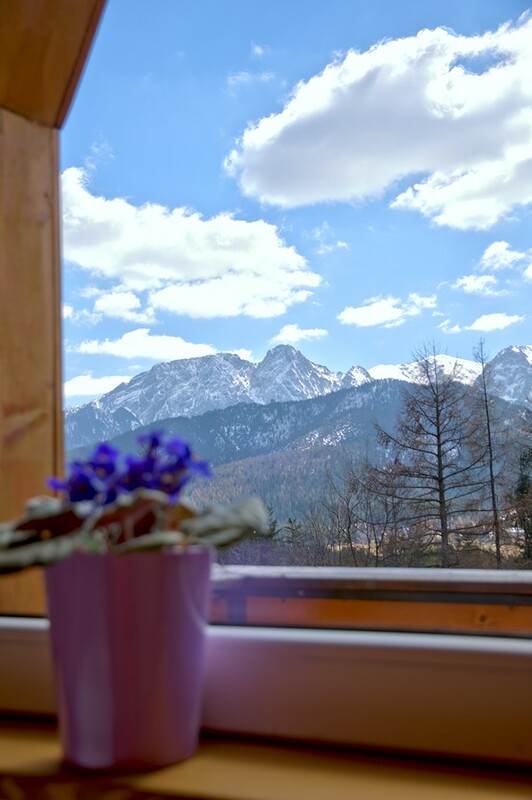 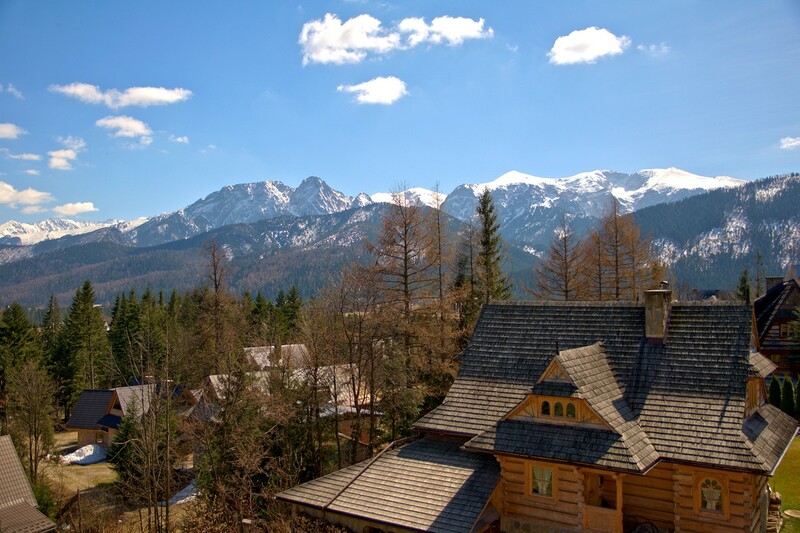 From the windows and the balcony a stunning view of the Tatra Mountains spreads out, and you can admire Giewont and Czerwone Wierchy, and from the west side, you can see our garden and buildings nearby. 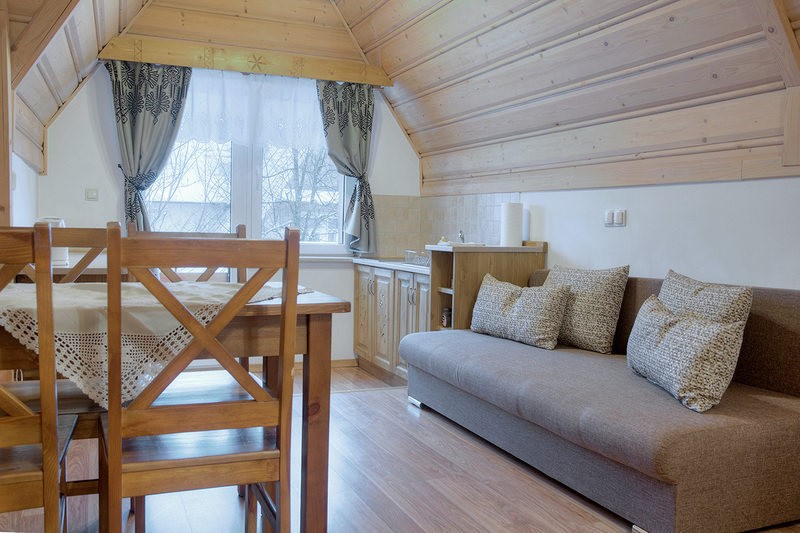 The apartment can accommodate 3-7 people and it consists of a living room, two bedrooms, and a bathroom. 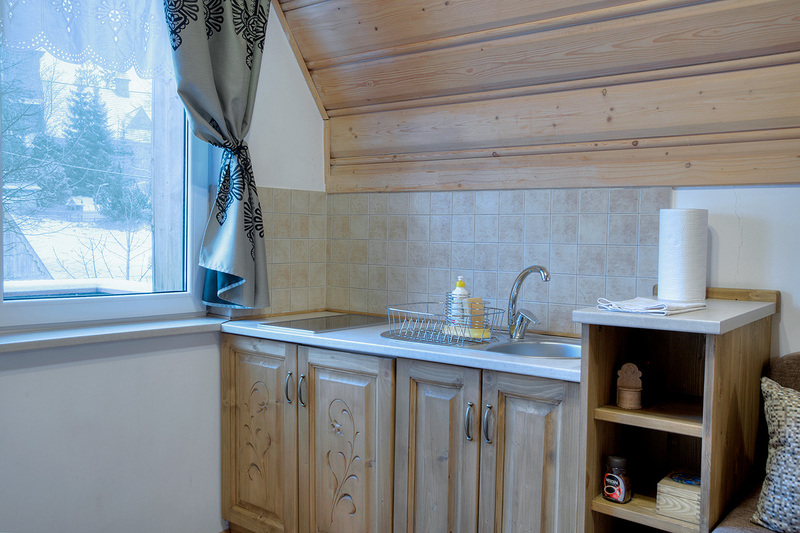 In the living room, you will find a fully equipped kitchenette (plates, cutlery, fridge, electric kettle, induction hob, etc. 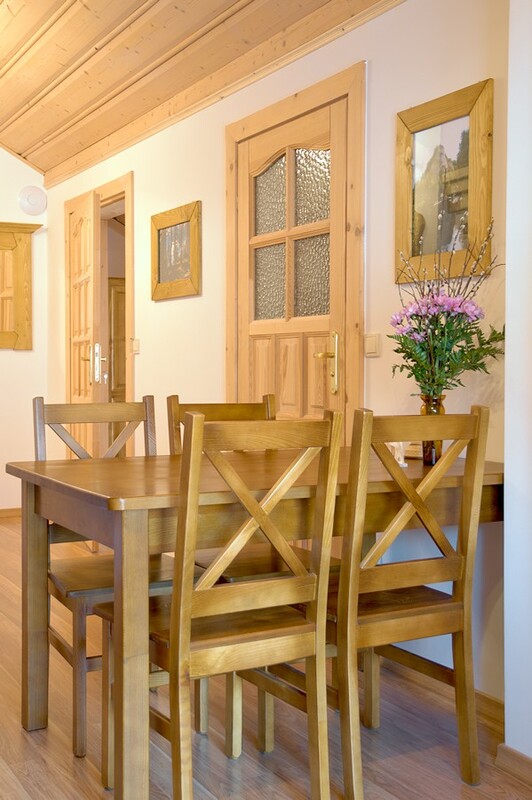 ), dining table with chairs. 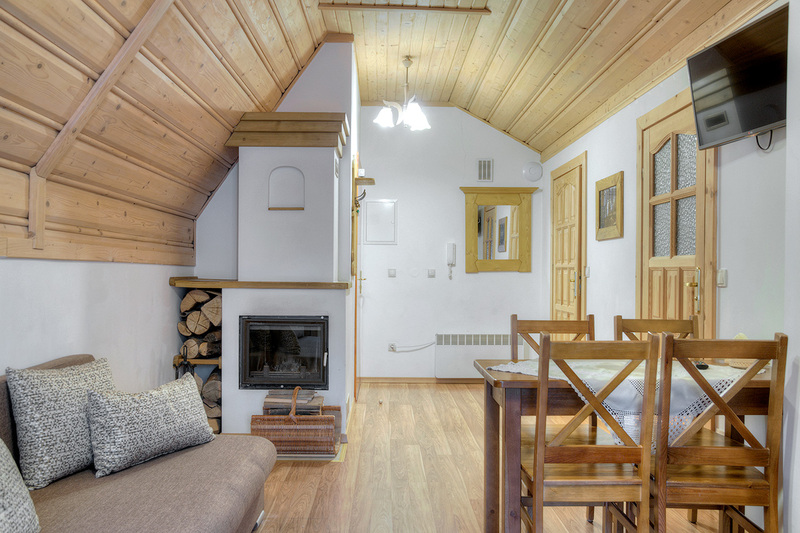 a double sofa bed, an LCD TV, and a fireplace. 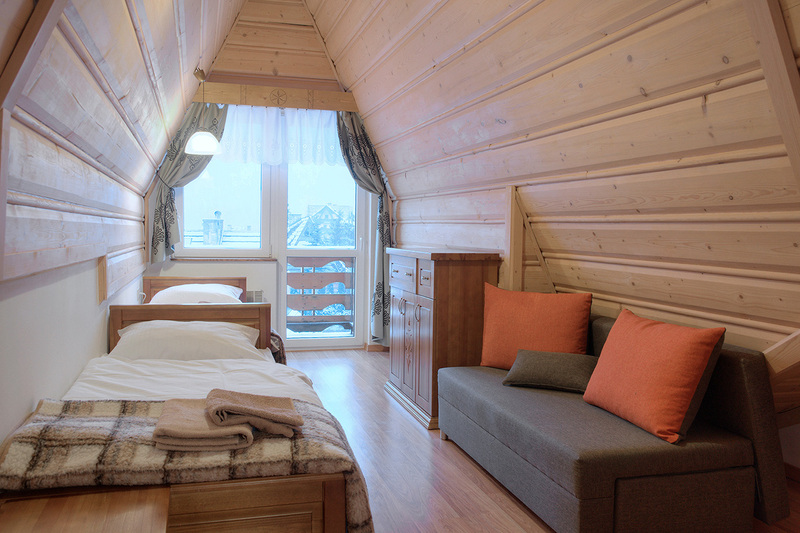 The living room opens onto a balcony, from which you will have a west side view. 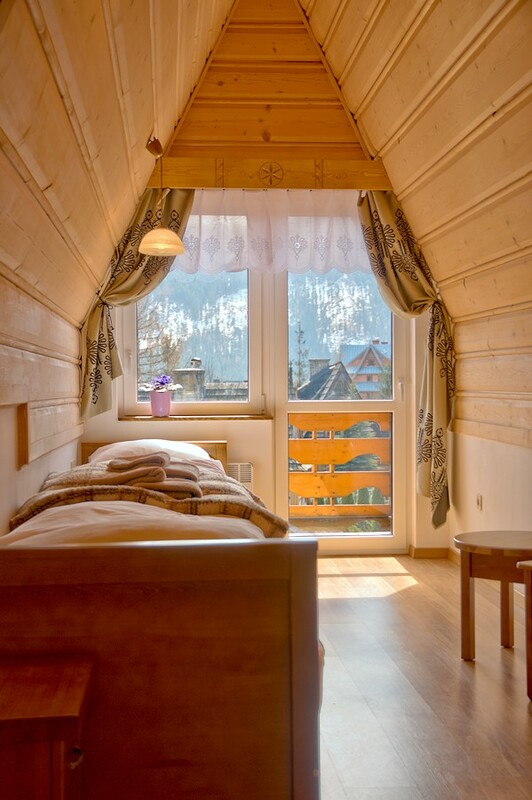 The first bedroom is equipped with two single beds (80x200cm) and a balcony with the most breath-taking view from the whole building. 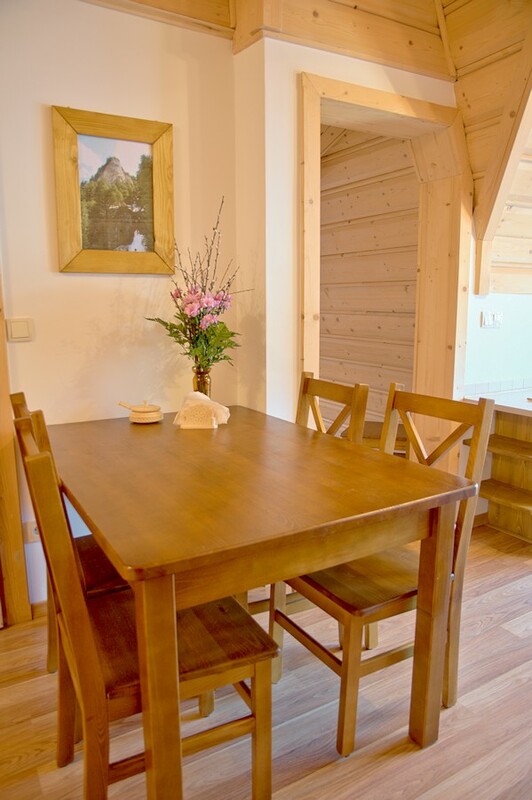 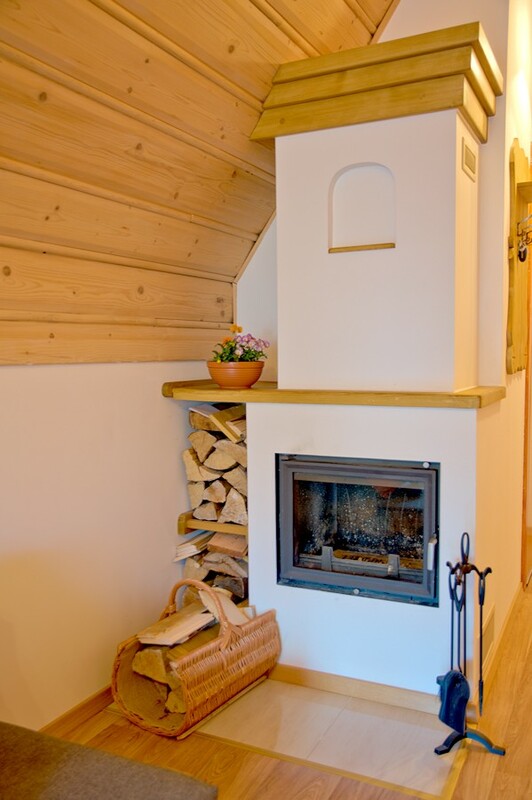 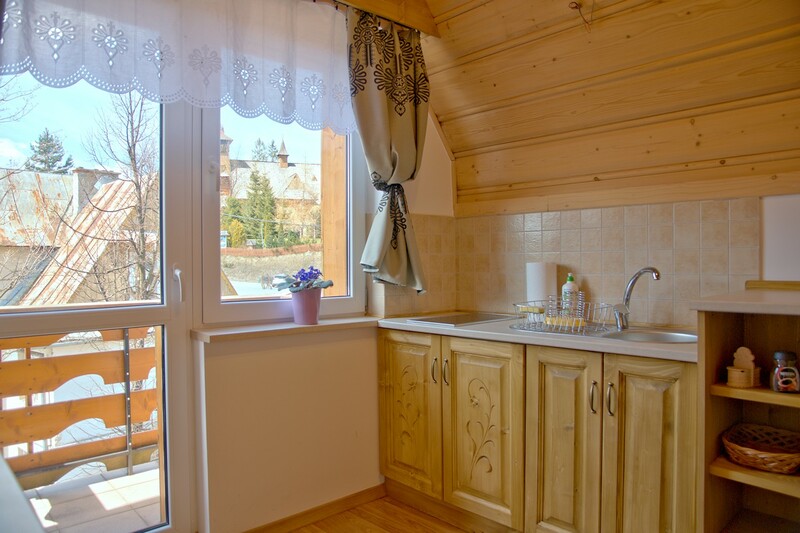 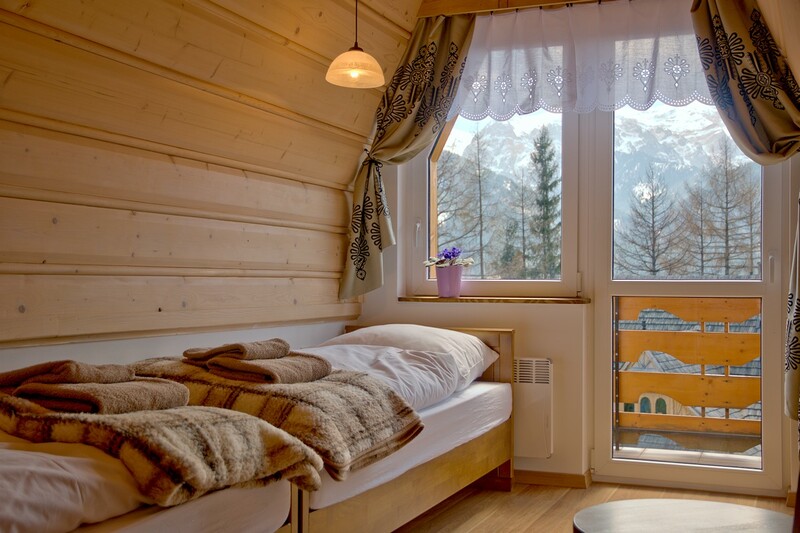 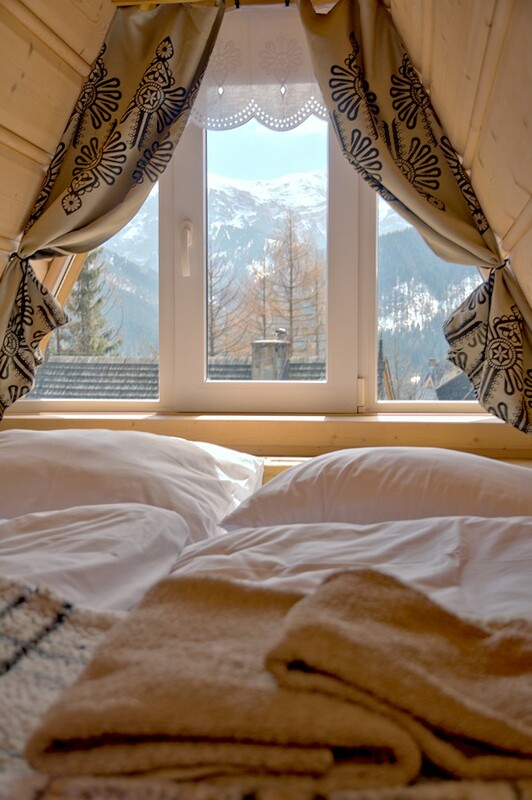 In the second bedroom, there is a double bed (160x200cm) located next to the window with a view of Giewont. 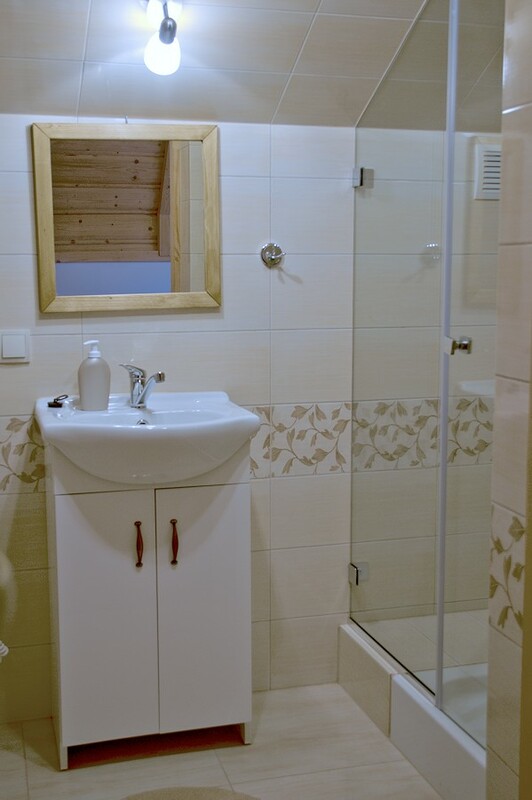 The bathroom has a toilet, basin, and shower.